American physicist payload specialist astronaut, 1984-1990. Status: Inactive; Active 1984-1990. Born: 1946-02-09. Birth Place: New York, New York. Bachelor of Science in Astronomy from the California Institute of Technology, 1967. Ph.D. in physics from the University of California, San Diego, 1972. Project Assistant, Department of Astronomy, University of Wisconsin-Madison, 1973-1974. Assistant Professor, Department of Astronomy, University of Wisconsin-Madison, 1974-1980. Associate Professor, Department of Astronomy, University of Wisconsin-Madison, 1980-1986. Payload Specialist, NASA/University of Wisconsin-Madison, July 1984 - December 1990. Professor, Washburn Observatory, University of Wisconsin-Madison, from 1986. 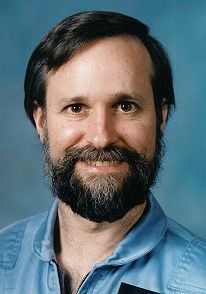 Director, Space Astronomy Lab, University of Wisconsin-Madison, from 1996. Family: Astronaut. Country: USA. Flights: STS-61-E, STS-71-A, STS-71-M. Agency: Wisconsin-Madison. Bibliography: 4452. 1946 February 9 - . Birth of Dr Kenneth Hugh Nordsieck - . Nation: USA. Related Persons: Nordsieck. American physicist payload specialist astronaut, 1984-1990..
STS-71-M (cancelled) - . Crew: Nordsieck. Payload: Astro-3. Nation: USA. Related Persons: Nordsieck. Program: STS. Flight: STS-71-M. Spacecraft Bus: Shuttle. Spacecraft: Columbia. Planned Astro-3 shuttle mission. Cancelled after Challenger disaster. .